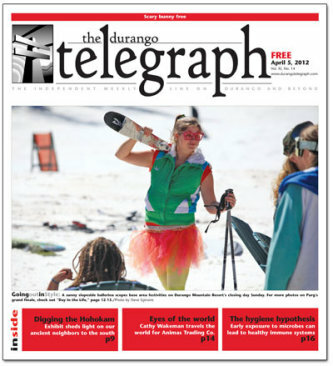 The Telegraph is Durango's only free, weekly independent newspaper. Offering an insightful blend of news, features, arts and entertainment, all in one handy package. 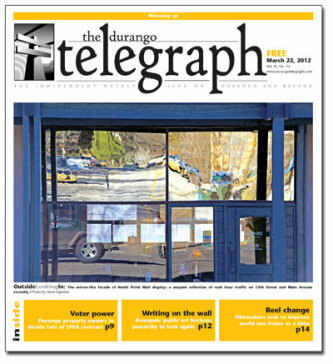 The Durango Telegraph - think outside the box. *RGB Disclaimer: Creating ads in RGB may result in the loss of data from ads in printing process. The Telegraph and its printer are not responsible for ads that are sent to us in RGB or that ocntina RGB elements and do not print correctly. Deadlines: Reserve ad space by Monday at 4 p.m. Camera-ready ads must be submitted by noon on Tuesdays.